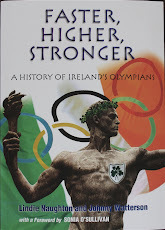 Irish Olympians - Faster, Higher, Stronger: OCI set up "crisis management sub-committee"
"This evening the Executive Committee of the Olympic Council of Ireland met for the first time in person since the Games began in Rio. The Committee discussed recent events in Rio regarding ticketing arrangements at the Games which it takes very seriously. · They appointed a three person crisis management subcommittee to lead the Council’s response to the recent events in Rio. This group comprises Sarah Keane (Swim Ireland), Prof Ciaran O Cathain (Athletics Ireland) and Robert Norwood (Snowsports Association of Ireland). · The subcommittee will appoint an international accountancy firm to conduct an independent review of ticketing arrangements in Rio. The firm will be selected this week and its work will begin immediately and its terms of reference will be published. · The report prepared by the firm will be presented to the judge who will chair the State inquiry into the OCI’s handling of ticketing at the Rio Olympics." * Are athletes who qualify for an Olympics entitled to an allocation of tickets for their family and friends? * Why are there questions marks over the OCI's allocation of tickets dating back - at least - to 1996? * What happens to tickets left over after families have received their allocation? * Is it really necessary to set up a company to allocate no more than 1,000 tickets to family members and OCI insiders? Surely someone in the Howth HQ of the OCI could have managed that? * To get tickets, families contacted a company called PR10, set up in May 2015. *They had little or no luck getting tickets and ended up buying what they needed online from the Rio organisers. *Tickets allocated to the OCI for families/friends ended up in the hands of THG, a company banned from selling Rio tickets, who were organising "hospitality" packages for the Games. These "packages" included tickets which they had to acquire from somewhere. * Before the 2014 football World Cup, Brazil police arrested the chief executive of THG, James Sinton, claiming he was part of a “ticketing mafia”. When given bail, he - allegedly - absconded, which is probably the main reason Pat Hickey is being treated so harshly. I would invite submissions from all family and friends of participating athletes across all sports going back as far as 1984.